Amazing trip to have! Our tour guide Haresh is a true local on Elephanta Island and would be the best person to explain its history, culture and people. The caves are natural and huge, with the locals making their own livings on the island itself. Be prepared to spend at least half a day there as a return journey already takes up 2 hours. Glad it has been preserved as a UNESC O heritage site. 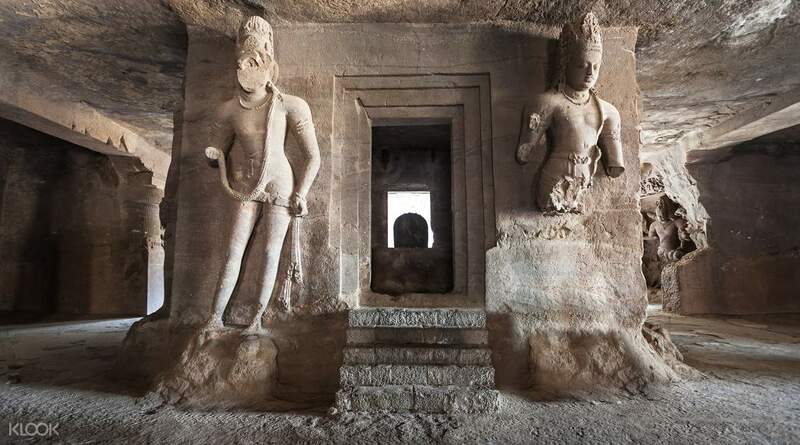 Elephanta Caves is a must-see destination for history buffs or archaeology afficionados who would like to see true excavations pertaining to the ancient histories of India. 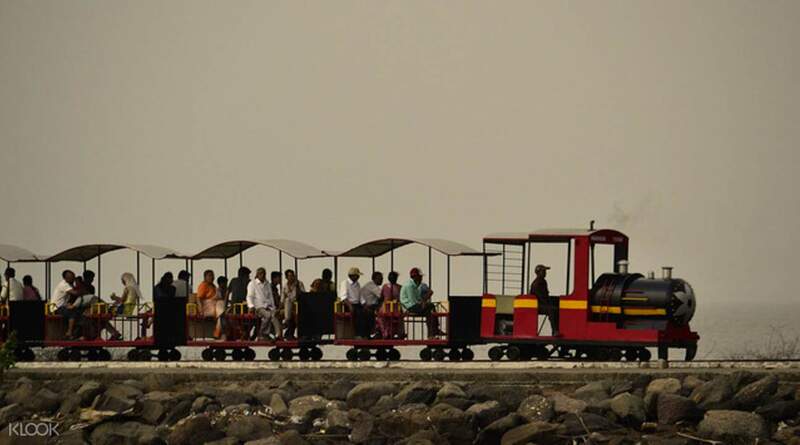 From the Gateway of India, your tour will ride a ferry to the island where the Elephanta Caves are found. You will climb 120 steps to the plateau where these caves can be entered. There are seven major excavations in the area, and you'll be able to explore the history behind the artifacts and structures found therein. There is a spacious hall supported by huge pillars, which are characteristic of architecture of the 6th and 7th centuries. A massive three-headed Shiva sculpture stands therein, which is one of the major attractions in the caves. 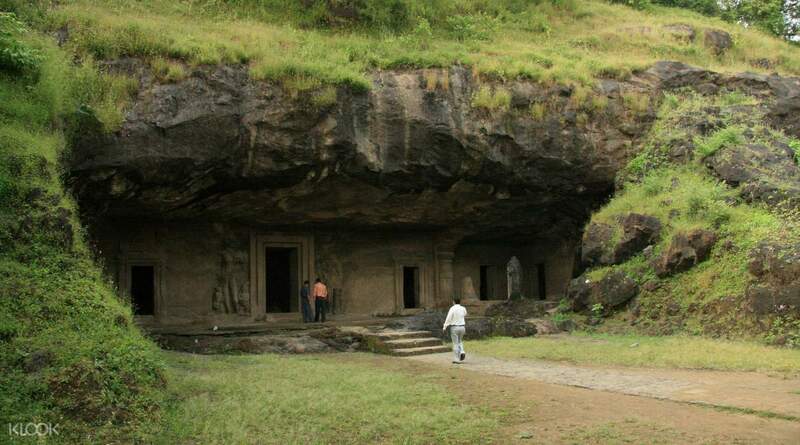 You will be able to explore 3 caves, each with a unique feature: one is a large Hindu Cave, the other is a Buddhist cave, and the final one is a cave dedicated to the God Shiva. You will discover a beautiful cultural heritage site and gain deeper understanding of India's religious history. 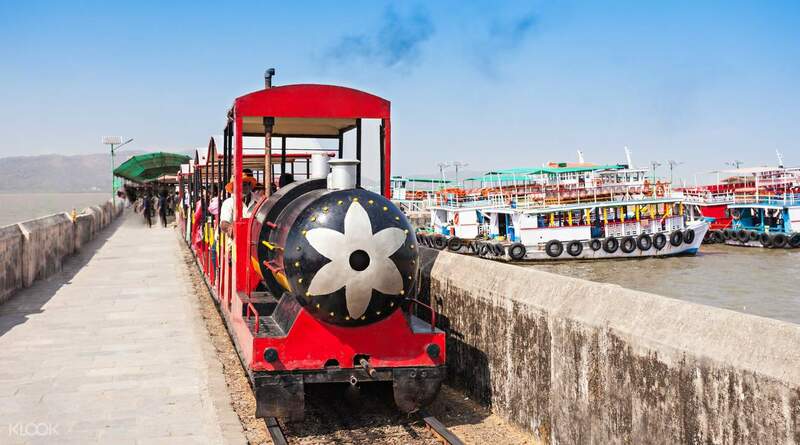 Ride a toy train up to the plateau of 120 steps! A tour not to miss if you’re in Mumbai! My guide’s name is Haresh (photo below), who is a local of Elphanta. He was a fantastic guide who met me early from the set time and gave a very good overview of the caves as well as the city (Mumbai) during the cruise. Upon docking at the port, he was very nice to take pictures of me on the train and by the entrance of the caves with the signage. He was also very mindful to wait for me while going up the stairs, ready to assist. He continued to share the caves’ history and religious backgrounds about Shiva apart from it minding to taking more photos of me. And by the end of the tour, he was very courteous to ask if he can stay in the island instead of going back with me to the mainland. I had a great time on this tour and was glad to have chosen this over my weekend stay at Mumbai! A tour not to miss if you’re in Mumbai! My guide’s name is Haresh (photo below), who is a local of Elphanta. He was a fantastic guide who met me early from the set time and gave a very good overview of the caves as well as the city (Mumbai) during the cruise. Upon docking at the port, he was very nice to take pictures of me on the train and by the entrance of the caves with the signage. He was also very mindful to wait for me while going up the stairs, ready to assist. He continued to share the caves’ history and religious backgrounds about Shiva apart from it minding to taking more photos of me. And by the end of the tour, he was very courteous to ask if he can stay in the island instead of going back with me to the mainland. I had a great time on this tour and was glad to have chosen this over my weekend stay at Mumbai! Amazing trip to have! Our tour guide Haresh is a true local on Elephanta Island and would be the best person to explain its history, culture and people. The caves are natural and huge, with the locals making their own livings on the island itself. Be prepared to spend at least half a day there as a return journey already takes up 2 hours. Glad it has been preserved as a UNESC O heritage site. Amazing trip to have! Our tour guide Haresh is a true local on Elephanta Island and would be the best person to explain its history, culture and people. The caves are natural and huge, with the locals making their own livings on the island itself. Be prepared to spend at least half a day there as a return journey already takes up 2 hours. Glad it has been preserved as a UNESC O heritage site. Haresh was amazing. The Caves were brought to life with his explanations. He even did some quick checkpoints to make sure we remembered names and events. It definitely would have been a dull experience without him. Since it’s a meet-up, I suggest you don’t underestimate the Mumbai traffic. Be there early! Haresh was amazing. The Caves were brought to life with his explanations. He even did some quick checkpoints to make sure we remembered names and events. It definitely would have been a dull experience without him. Since it’s a meet-up, I suggest you don’t underestimate the Mumbai traffic. Be there early! Great experience. Guide was helpful, well prepared and flexible. As we proceeded quickly through the caves, we also had the chance to climb up the hill to have a look at one of the cannon and the landscape from there. Would recommend such experience! The island isn’t kept really clean, and the boat trip is rather harsh for western standards, but this has nothing to do with the tour operator. Great experience. Guide was helpful, well prepared and flexible. As we proceeded quickly through the caves, we also had the chance to climb up the hill to have a look at one of the cannon and the landscape from there. Would recommend such experience! The island isn’t kept really clean, and the boat trip is rather harsh for western standards, but this has nothing to do with the tour operator. The guide Harish is very knowledgable and informative. 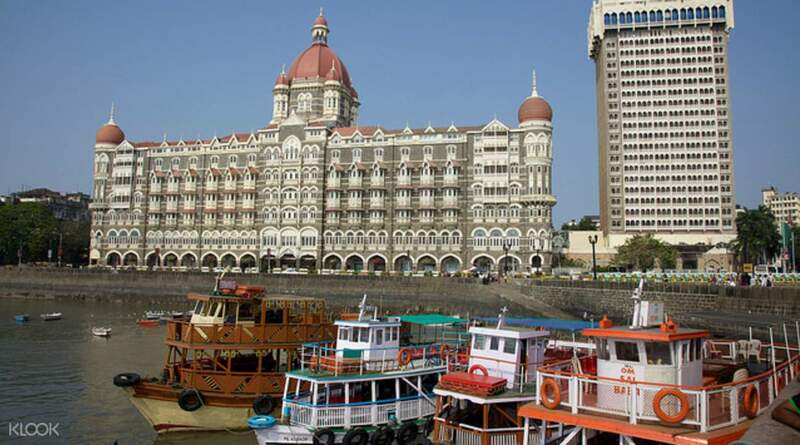 A good tour to understand the history of Mumbai and Hinduism! The guide Harish is very knowledgable and informative. A good tour to understand the history of Mumbai and Hinduism! Good trip, good places to go, overall the service is value for money. Good trip, good places to go, overall the service is value for money. The tour was amazing! Our guide was very knowledgeable! The tour was amazing! Our guide was very knowledgeable! First of all, I am sorry, but the guide was sick and didn’t want to talk at all, which might be why they called the night before to reschedule to 10:30 am, or it was just that I was the only one on the tour. I was the one kept talking on the boat from gateway to the island, and it’s the most awkward one hour I had on any tour. The guide gave a fair presentation on all the statues in the Shiva cave, but his voice was so low that I could barely hear him, and he gets irritated when I ask the meaning of the names. I wouldn’t need him if I knew all the names right? On the other 4 caves, the only explanation was “All has been destroyed. Nothing left here.” What the fxxx! There are guide books for sale on the island, I would recommend those books over this 3000 rupee tour. First of all, I am sorry, but the guide was sick and didn’t want to talk at all, which might be why they called the night before to reschedule to 10:30 am, or it was just that I was the only one on the tour. I was the one kept talking on the boat from gateway to the island, and it’s the most awkward one hour I had on any tour. The guide gave a fair presentation on all the statues in the Shiva cave, but his voice was so low that I could barely hear him, and he gets irritated when I ask the meaning of the names. I wouldn’t need him if I knew all the names right? On the other 4 caves, the only explanation was “All has been destroyed. Nothing left here.” What the fxxx! There are guide books for sale on the island, I would recommend those books over this 3000 rupee tour.